In stores now from NECA is their IT (2017) – Well House Pennywise Ultimate 7″ Scale Figure. This is the third Pennywise release from the IT remake, following the initial Pennywise Ultimate Figure, and the GameStop Exclusive I Heart Derry Version. A fourth Ultimate Figure, known as the Dancing Clown Pennywise and a Pennywise Accessory Pack are are coming later this year. 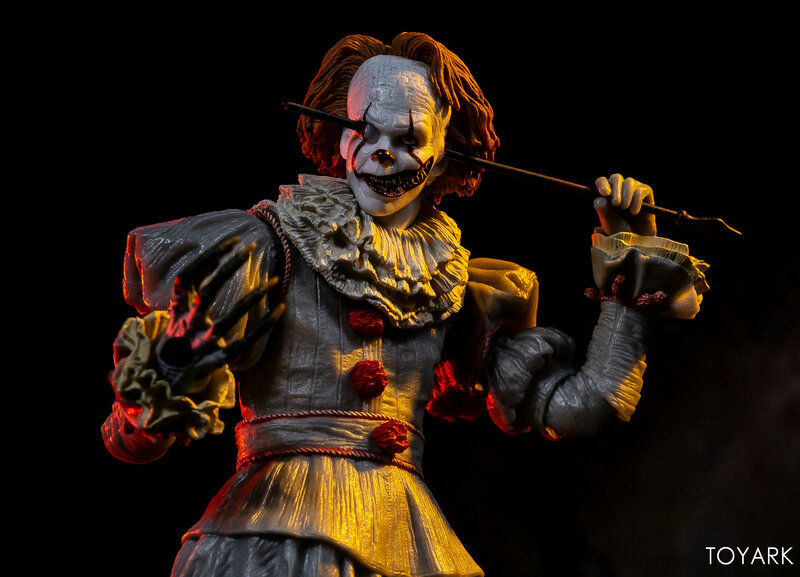 At Toy Fair 2019, NECA also announced an 8″ Scale Clothed Figure Pennywise, as well as a 1/4 Scale Pennywise. If you’re a fan of the film, you have plenty of version to » Continue Reading. The post IT (2017) – Well House Pennywise Ultimate Figure by NECA – Toyark Photo Shoot appeared first on The Toyark – News.